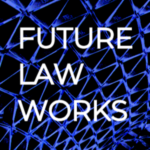 Future Law Works is a global collective of researchers, technologists, practitioners, and designers envisioning the futures of law, institutions, and education. We are motivated to act by the instinct that social, economic, and technological change now dwarfs the power of established institutions of legal education and higher education to adapt effectively in the incremental style to which they are accustomed. Fundamental, larger scale, and longer term re-thinking and re-structuring are required. Our initial vision is described in greater detail at the “Vision” link, above. We are eager to complement the efforts of others around the world who have been working to improve systems of education, training, professional development, the delivery of legal services and legal information, and justice. This site was launched in late December 2018. Check back soon for more information. Hiram Chodosh has been president of Claremont McKenna College in Claremont, California, USA since 2013. He served as dean of the University of Utah S.J. Quinney College of Law from 2006 to 2013 and as a member of the law faculty of the Case Western University School of Law from 1993 to 2006. A full biography is available here. Michael Madison has been a member of the law faculty at the University of Pittsburgh School of Law since 1998. Daniel Rodriguez is the Harold Washington Professor at the Northwestern University Pritzker School of Law, where he served as dean from January 2012 through August 2018. He previously served as a member of the law faculty at the University of Texas School of Law and the University of California Berkeley School of Law and as dean of the University of San Diego School of Law. Future Law Works was established in late 2018 following a “Law’s Futures” roundtable held in Southern California attended by more than 30 legal academics, lawyers, and designers aiming to think broadly and boldly about how law, education, and institutions should be refashioned in the decades to come. The Law’s Futures roundtable was hosted by Hiram Chodosh (Claremont McKenna College), Dan Rodriguez (Northwestern University), and Michael Madison (University of Pittsburgh). The Law’s Futures website is here. One prompt for the roundtable and the programs, events, and initiatives to come was this essay on the future of legal education, distributed in December 2017 and later made the focus of an online symposium at Prawfsblawg, a leading blog covering legal academia. The essay and the online symposium are available at the “Readings” link at the Law’s Futures website. Future Law Works has no formal institutional sponsorship or affiliation. It consists of the collected volunteer efforts of individual researchers, practitioners, technologists, designers, academic administrators, and business and nonprofit professionals around the world.